The main advantages of the two platforms are the tight spreads and the lack of commissions for trading with currency pairs, stocks, commodities, indices, cryptocurrencies. "No Dealing Desk" instant execution without requote, extremely low margin requirements, automatic trading systems (Expert Advisors), as well as various bonus programs. 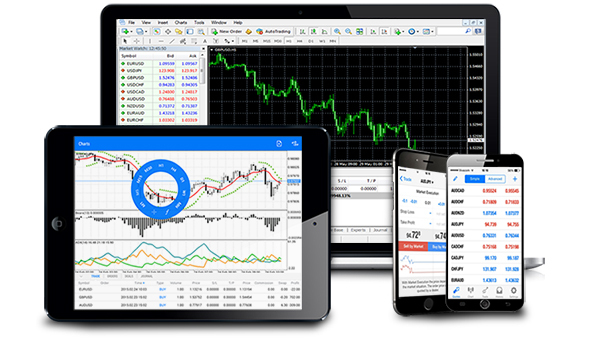 The MetaTrader 5 platform is the newest version of the popular platform for trading on the international markets. It features a new design, new technical indicators, two modes "Hedging" and "Netting" and additional features to facilitate trade. MetaTrader 4 is the most common trading platform on international markets. The MetaTrader 4 platform is preferred by many traders, beginners and professionals, because of the intuitive interface, low system requirements and various possibilities for personalization.